SEAMLESS BRA: No hooks, clasps, or underwires. Back is Smooth and made of a nylon-spandex blend which offers a soft stretch to uniquely fit many sizes.. PERFECT POST AUGMENTATION BRA: Super comfortable bra with adjustable & removable straps,and each has removable padding. COMFORTABLE BRA offers ribbing on sides for contoured fit and support with center ruching for enhanced shape. Made from a luscious, brushed nylon and spandex fabric blend. 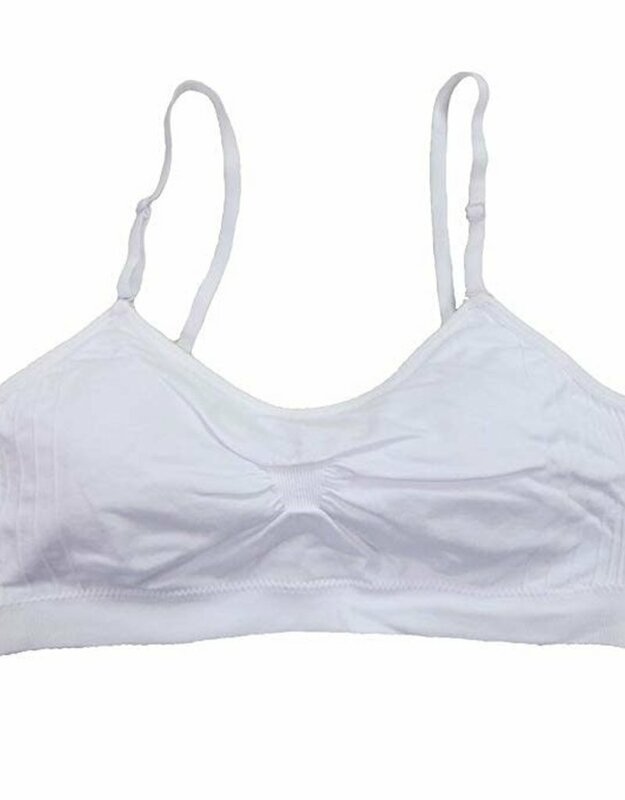 This one size, fixed thin strap, camisole is ultra soft and stretchy with an extra long length. Perfect for layering or just by itself.